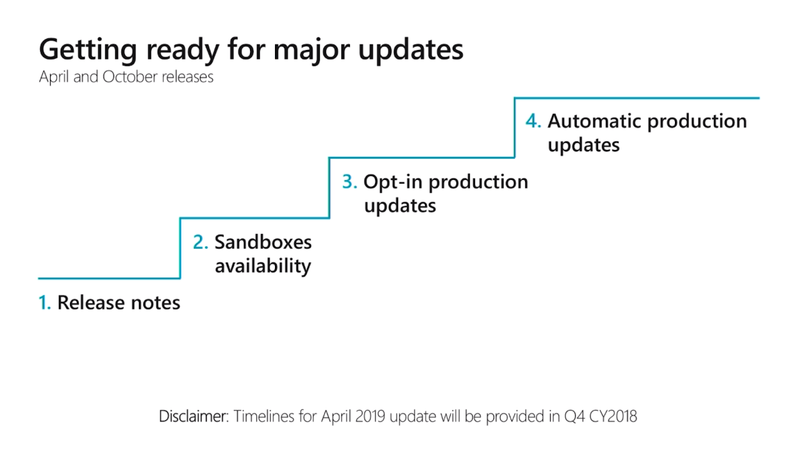 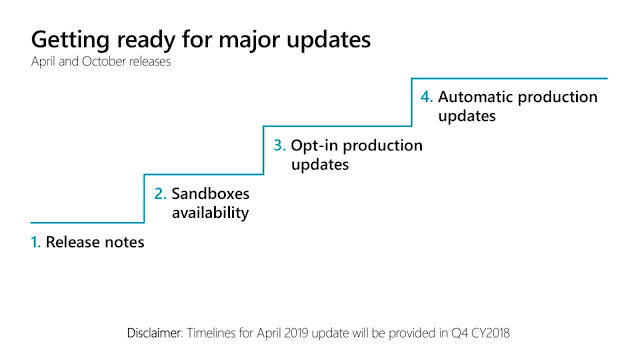 It will be possible to chose an upgrade date for Production environments, but if no date is defined, environments will get automatically upgraded so that all customers are on the same latest version. 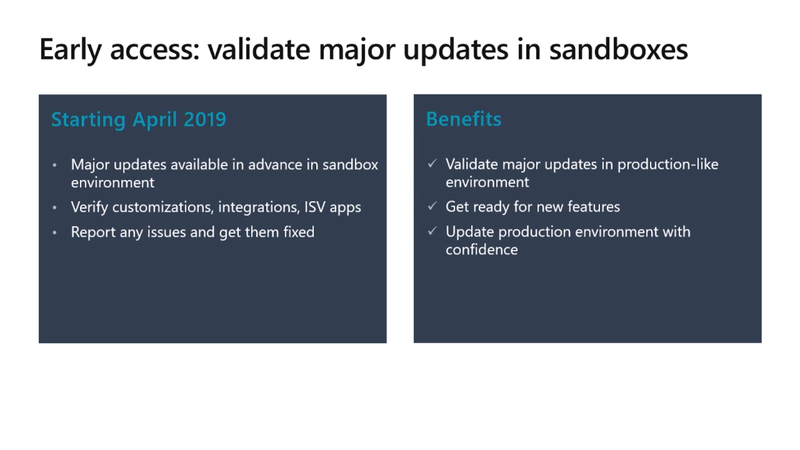 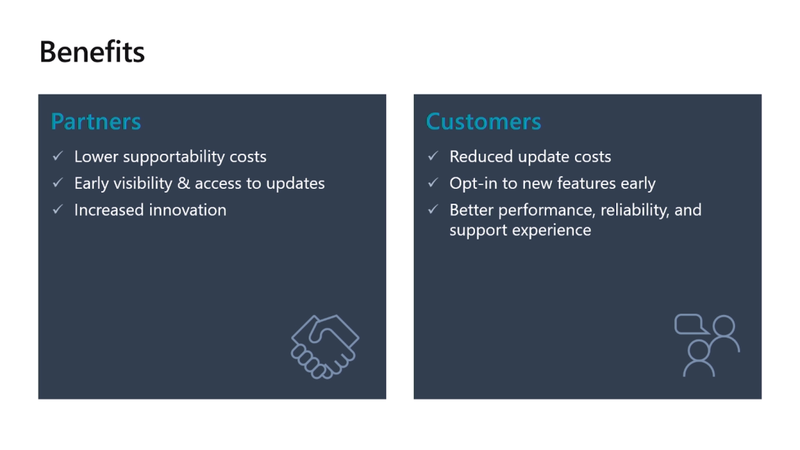 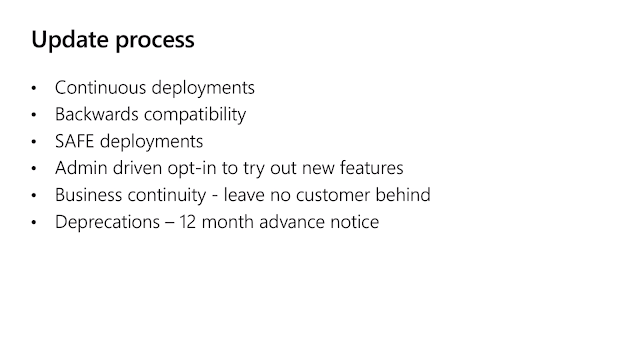 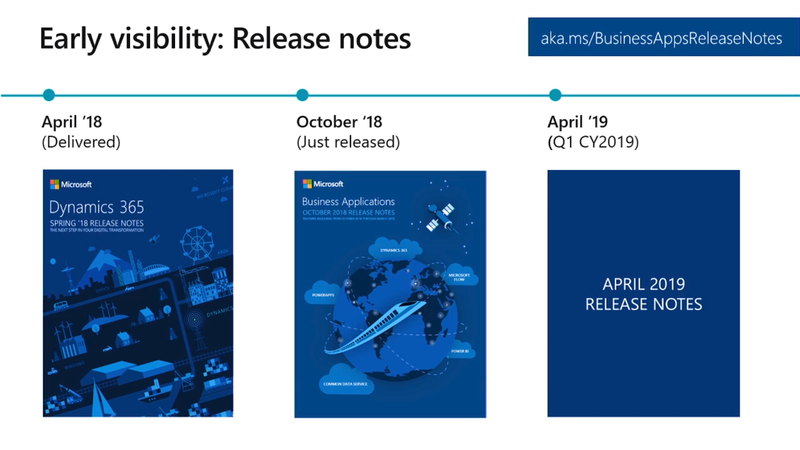 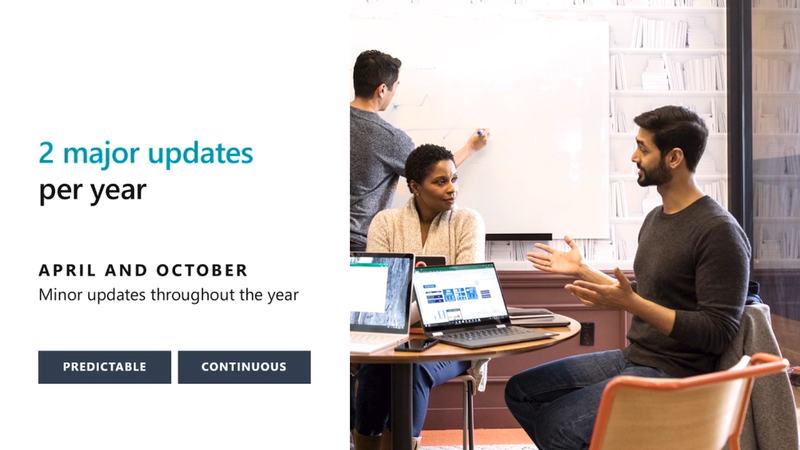 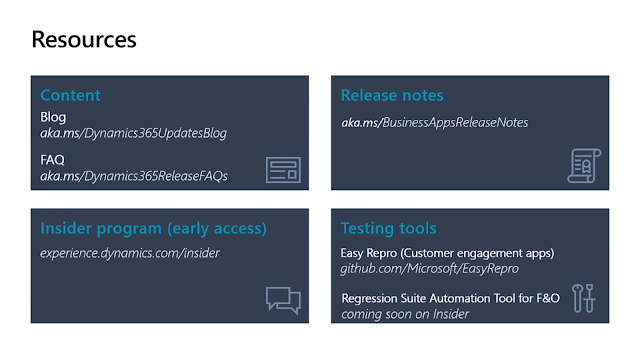 Replay of the Dynamics 365 and Update Cadence session. 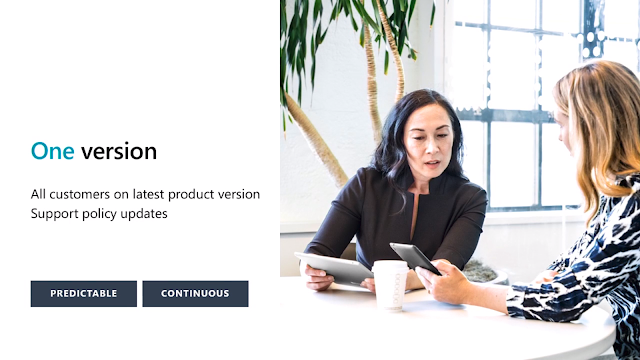 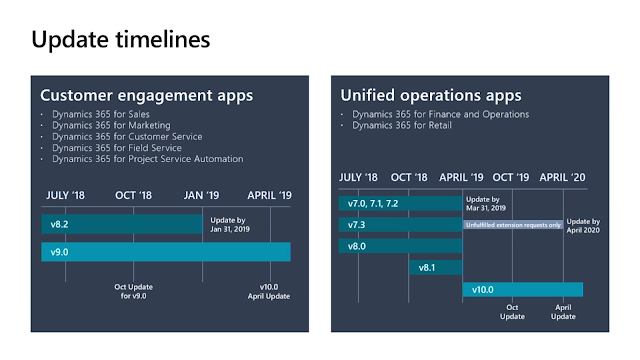 Blog post: Modernizing the way we update Dynamics 365. 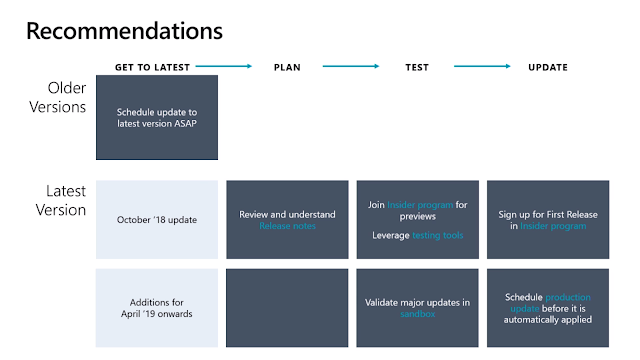 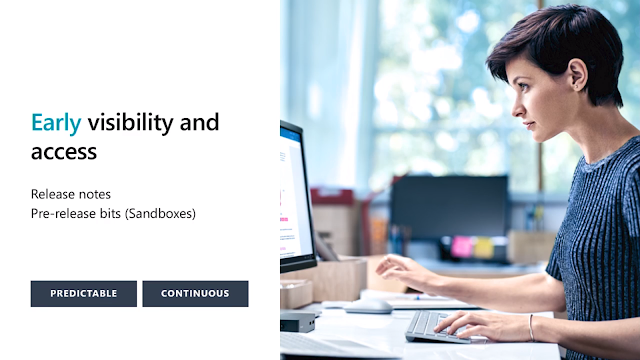 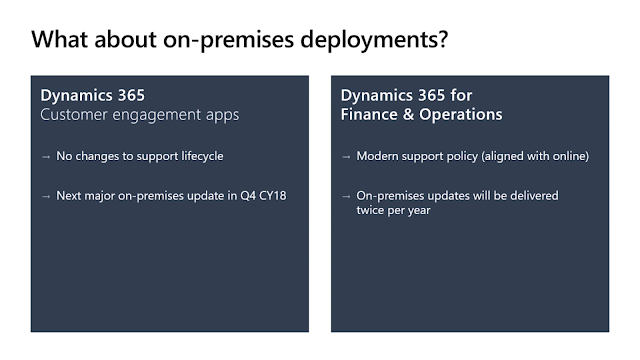 Q&A: FAQ for Dynamics 365 Update Policies. 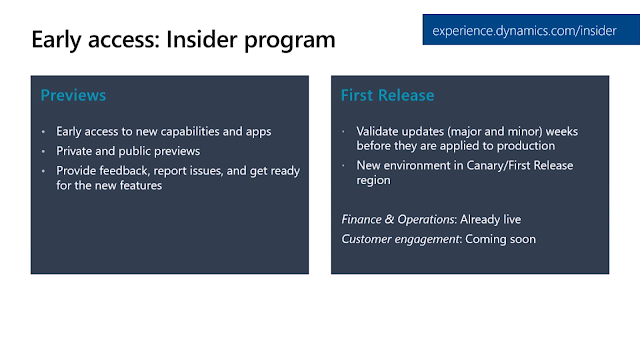 Sign-up for previews: Insider Portal.